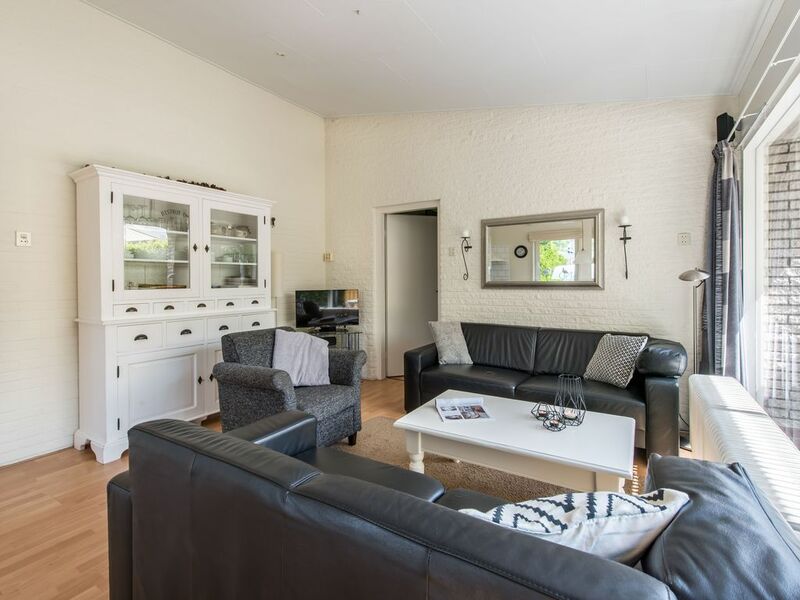 This beautifully furnished, freestanding 6-person bungalow is situated in a quiet cul-de-sac at the edge of the park and within walking distance to the Veerse Meer. This is the perfect location for water sports enthusiasts and nature lovers. Peace and relaxation are given in the green park. Here you will find the perfect base for a relaxing holiday. The house stands on a spacious and fenced plot with lots of privacy. On the terrace on the south side with comfortable garden furniture and two sunbeds you can enjoy the evening after a day on the water. On the other side of the garden is a garden house with a covered lounge corner, where you can sit outside in any weather. The house has a parking for two cars. There are 3 bedrooms. One bedroom with double bed and TV, another bedroom with two single beds and the third bedroom with a bunk bed. The modern bathroom is equipped with a bathtub / shower. In the comfortable living room there is digital TV with satellite reception and a home cinema set. The open kitchen offers amenities such as an oven with integrated microwave, a Nespresso coffee machine, a refrigerator and a dishwasher. Washing machine and dryer are in the storeroom.